Peddie School is a private, independent, coeducational, boarding and day school for grades 9-12 and postgraduate located in Hightstown, New Jersey. Since 1864, Peddie School has been committed to supporting the intellectual, social, and moral growth of its students. Consistently ranked as one of the top boarding schools in the US, the school is well known for its rigorous academics and extensive extracurriculars, but was looking to raise their online profile to attract the best students who will further enhance the school’s culture and reputation. Positioned in a highly competitive market, Peddie School needed a way to communicate the magic and value of the Peddie experience to a broad and disperse audience. The previous site lacked clear business goals, and wasn’t effectively communicating the transformation that happens to students who attend the school. Additionally, keeping alumni engaged was increasingly difficult in a distraction-filled digital world. After deciding to build the new website using the software platform Finalsite, Peddie was looking for a way to give their site a unique identity that would differentiate them from the competition and stand out to prospective students. eCity collaborated with both Peddie School and Finalsite to create a digital content and nurturing strategy that would attract a diverse group of prospective students by more accurately reflecting the amazing academic and social experiences current students have at the school. After broadening the applicant pool, our goal was to nurture these applicants into deciding that Peddie was, in fact, the place where they want to attend, increasing the school’s yield rate. eCity met with multiple Peddie stakeholders to identify strategic business goals for the new website. We sent a web survey to prospective students and parents about their process when researching schools, and followed up with individual qualitative interviews to identify the areas where families were making their decisions about where to enroll. 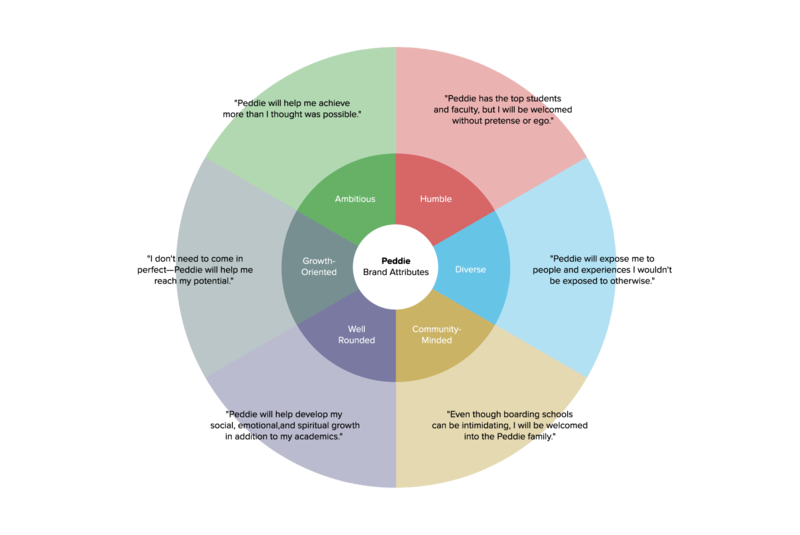 We also analyzed trends in the current site’s analytics, alumni giving trends, and third party research to understand exactly what types of content and features would convert Peddie’s users and craft unique experiences around each of their needs. 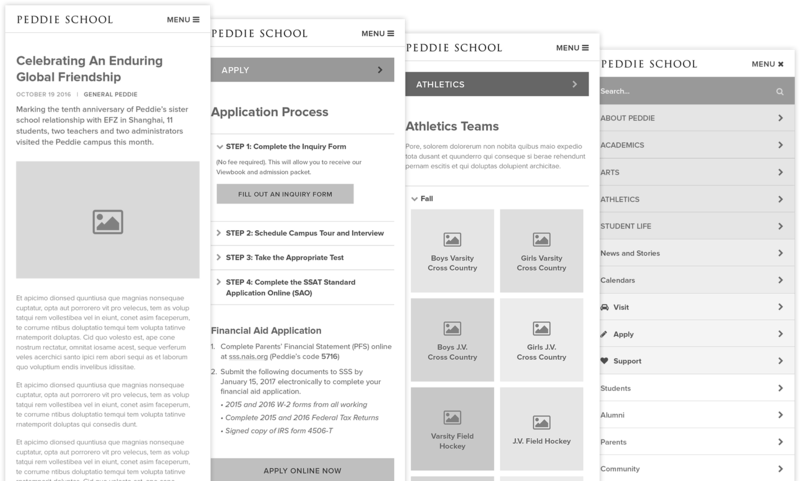 This enabled us to create a digital content strategy and a website information architecture that is tailor-made for the exact prospective students, alumni, families, and friends that Peddie hopes to attract and engage. 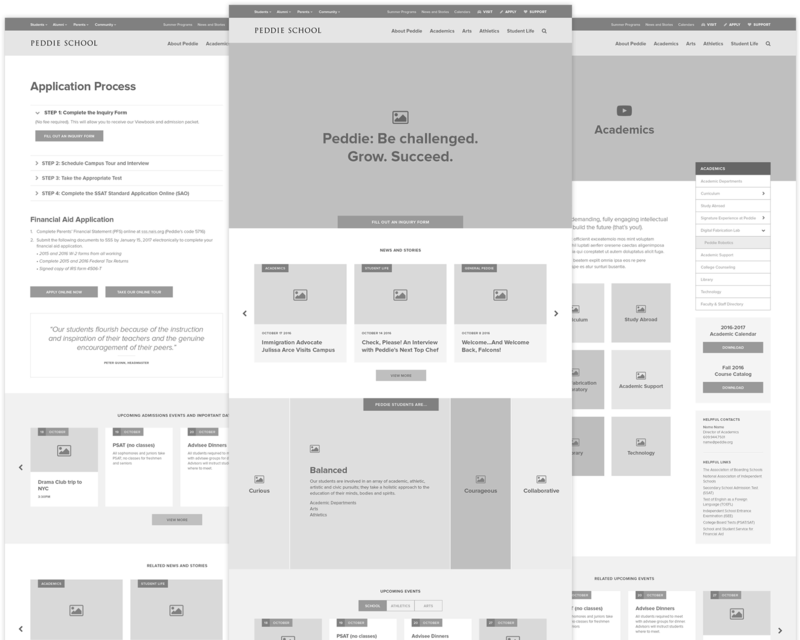 Peddie School is now well-positioned to build a new site with Finalsite that allows potential students to visualize themselves attending Peddie School. The strategy set in place includes functionality and content that will communicate unique stories that demonstrate Peddie’s position as a leading boarding school, clearly explain and encourage prospects to start the admissions process, and nurture families and alumni to become active supporters. Across the board, users of the new site will be met with a seamless, high-quality experience – from inquiry through enrollment, in the donation process, during event registration, and as a parent of a current student.